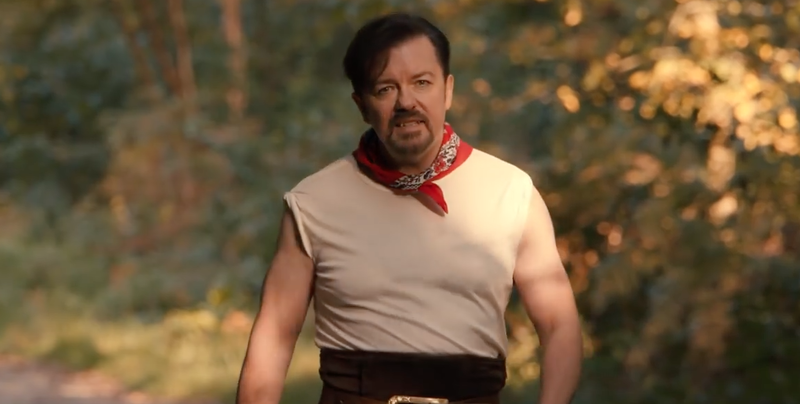 Ricky Gervais is bringing his most famous creation to the big screen with David Brent: Life on the Road, which sees the former office manager embark on a typically ill-fated concert tour with his band, Forgone Conclusion. In the perfect piece of marketing, we get to see what the band has to offer with the music video for Lady Gypsy, a folk ballad that gets very awkward very quickly. As you would expect from Mr. Brent. That stare, man. That stare. David Brent: Life on the Road hits cinemas on this side of the pond on August 19th. Our American friends will experience Brent’s return sometime in 2017, when the movie hits Netflix over there.